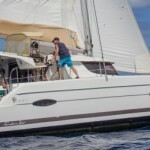 $6,000 per week Off Season: 10th July - 5th November. 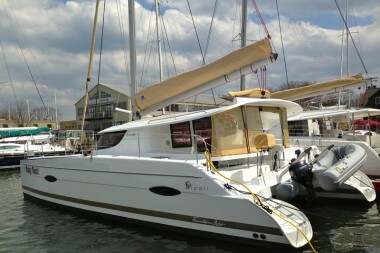 $7,500 per week Mid Season: 2nd Jan - 31st Jan and 1st April - 30th April. 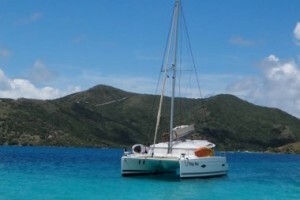 $8,200 per week High Season: 16th Dec - 1st Jan and 1st Feb - 31st March. 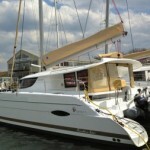 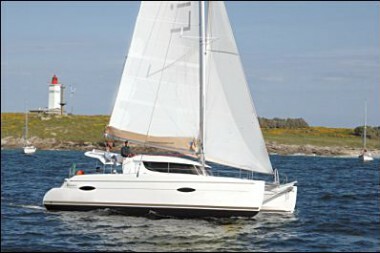 This beautiful new Fountain Pajot Lipari 41 is an ocean going yacht, at ease in all sea conditions. 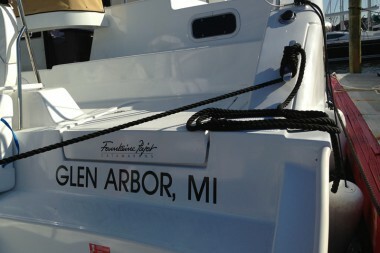 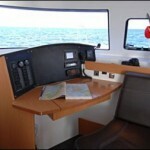 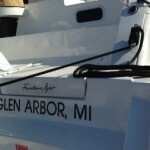 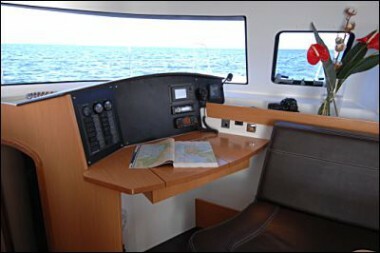 The efficient, well-fitted bridge with a dual-seating helm station ensures easy maneuvering and excellent visibility. 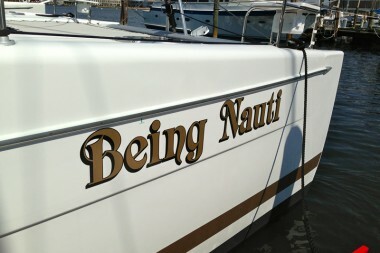 With three electric winches, you can easily adapt the sails to changing conditions and tap Being Nauti’s full sailing potential. 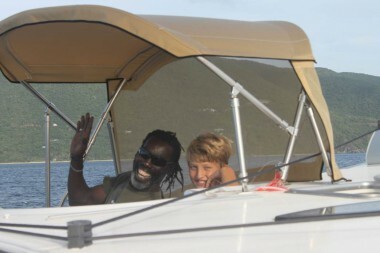 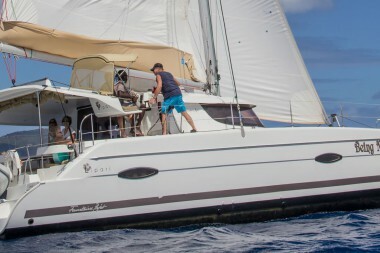 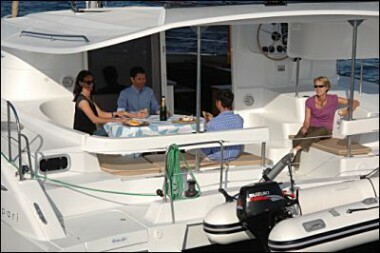 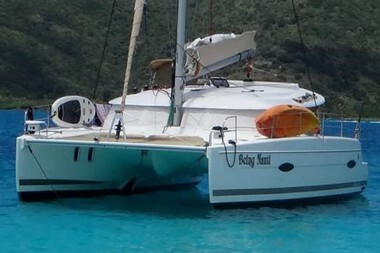 The cockpit features a hard top bimini, ample seating for eight, a dining table framed in stainless steel and a propane BBQ. 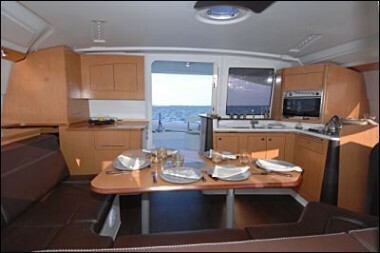 Open plan entertaining is facilitated by the cockpit and saloon on the same level and a large sliding door opens into the saloon. 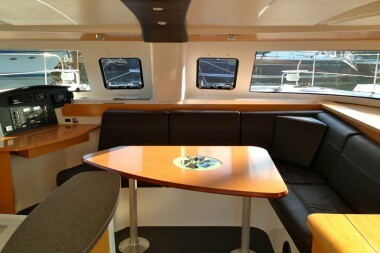 The saloon and galley are spacious with large windows providing natural light and a panoramic view. 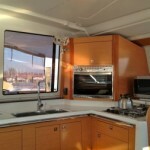 The cabinetry is light, modern and elegant. 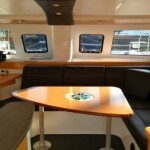 The saloon dining table will accommodate eight and there is an adjacent comfortable and practical chart table. 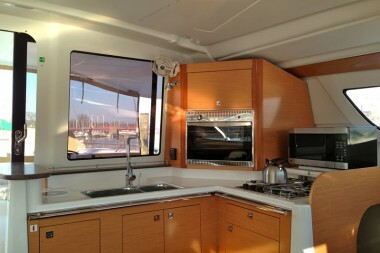 The galley has twin stainless steel sinks, three burner stove with oven and has excellent storage space. 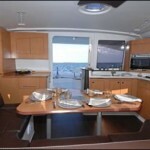 Its location ensures that the chef is part of the party. 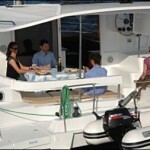 Each of the roomy cabins is well-ventilated with an opening hatch and fan. 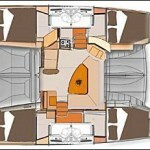 A hanging locker, cupboard & shelf provide an abundance of storage. 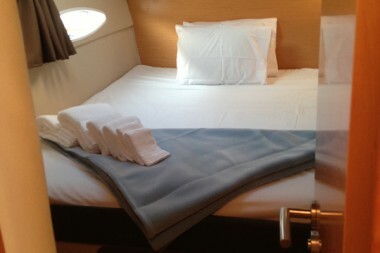 You will appreciate the ensuite heads with electric toilets and modern vanity. 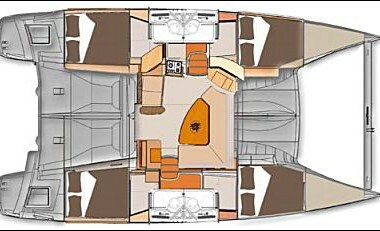 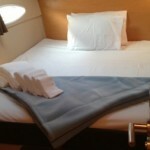 Two single cabins are located forward each accessed through a large deck hatch. 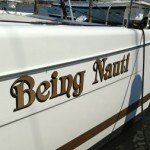 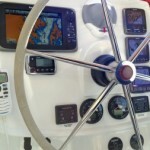 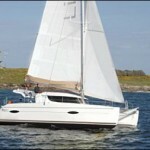 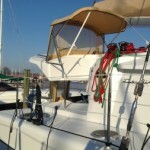 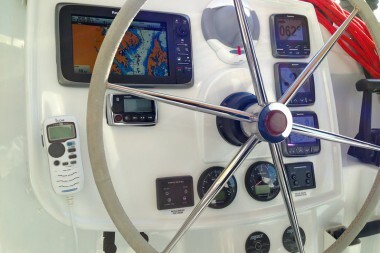 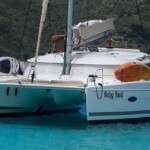 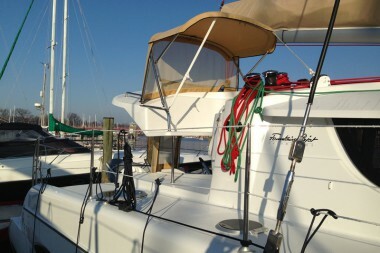 Being Nauti is fitted with a generator and full air-conditioning ensuring your comfort in all weather conditions.